The inspiration to create is endless for me. Designing packaging and photographing my work makes everything come together. The month of June comes to and end soon. I hope we soaked up everything possible in the time we are given to enjoy Spring, which is not very long. Carefully studying and gazing at all the greenery in my garden from the hosta and fragrant lavender to the tiny lily of the valley—I ask myself, why is the June birthstone a pearl or an alexandrite? Instead, what about a peridot, as in the perfect shade of spring green, like chlorophyll in photosynthesis. Actually my friends, there are eight types of June birthstones depending on which part of the world you live in. Alexandrite, with its lovely shifts in color, from blue-green to pink-purple, has reined supreme in the U.S. since 1912. In 1952 the white pearl was added, in part due to the rarity of alexandrite. Photographed with outdoor light on a vintage jewelry dish from my Opa. 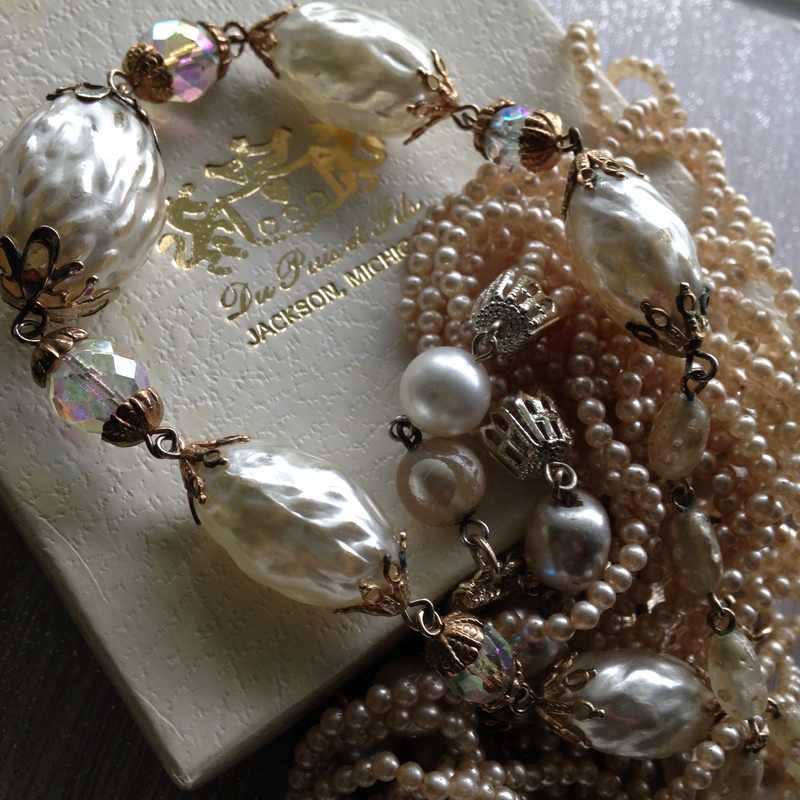 Faux pearls from a Miriam Haskell – style necklace I found at a flea market. Do you know the difference between an imitation pearl and a fake one? Real natural pearls are cold to the touch. Also, it is hard to match perfectly round ones on a single strand, and they are pricey. Fake pearls are made of glass or plastic which are called “faux” or “costume”. 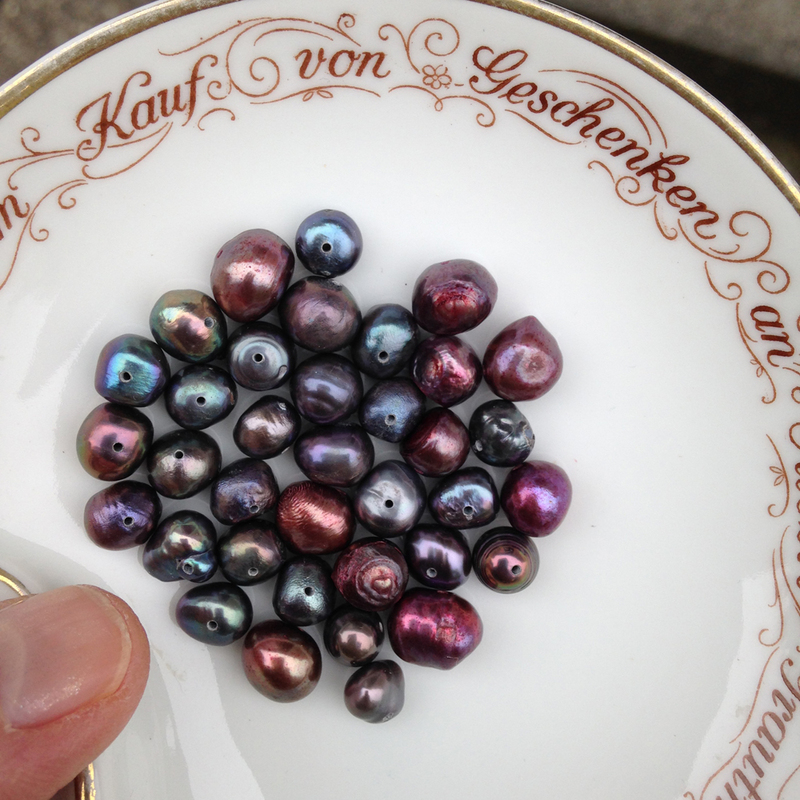 More about birthstones, pearls and jewelry making in posts to come soon. 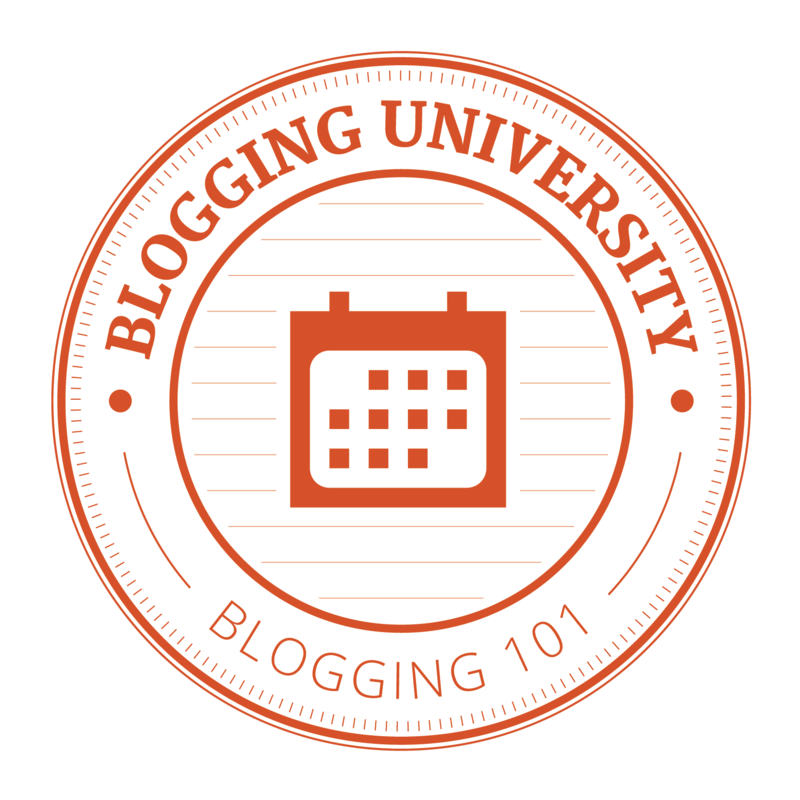 Enter your email address to follow MeyerClarkCreative Studio Blog and receive notifications of new posts by email.